The J&D YC-PB Electric Bass Guitar, Black has been designed using the classic ‘P-style’ bass concept that offers the user remarkable playability and tone, whilst looking beautiful too in a 3-tone sunburst finish. The YC-PB is constructed from a solid alder body and a fixed maple neck topped with a 21 fret rosewood fingerboard. The J&D YC-PB's electronics consist of one split-coil pickup, operated by one Volume pot and one Tone pot, making it simple and effective to quickly find a gorgeous vintage bass tone. 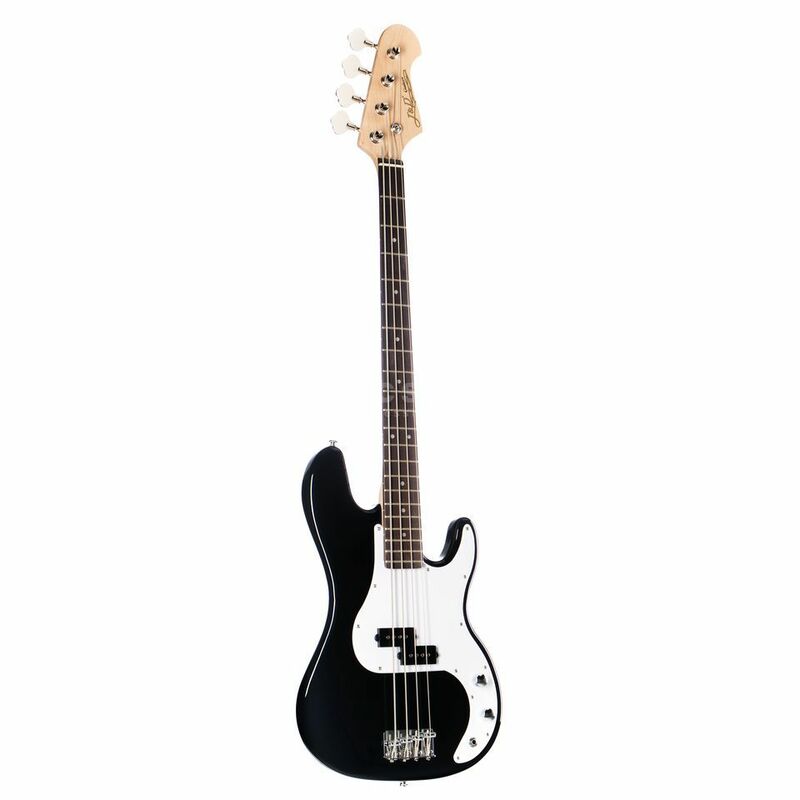 The bass also boasts a five screw vintage-style bridge, has been constructed using nickel hardware and has a Black finish. The perfect instrument for beginners. It has good construction and it looks stable. The finish has minor imperfections. Only cons are the strap buttons which must be replaced. The sound is OK. It needs setup to be ready for playing: neck adjustment, intonation, action. It comes with the necessary tools to do all adjustments. I honestly have not had a single issue with this bass. It looks great and plays well. It stays in tune well and no fret buzz or anything like that. It sounds just like a precision bass when plugged in, no complaints about this bass at all.